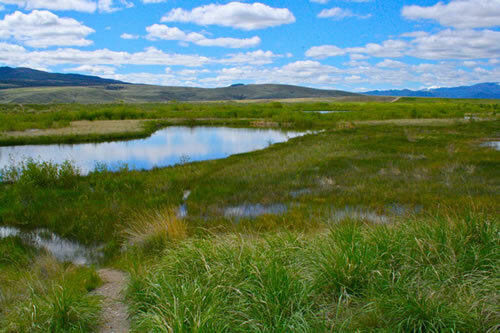 These ponds, originally created to mitigate environmental damage from mining now play host to a diverse array of wildlife. There are abundant whitetail deer, Hungarian partridge, bear, skunk, a variety of waterfowl and many other animals. This is a popular place to run, bike, hike, fish, hunt and bird watching. The ponds have been known to produce very large trout and one pond is only open to children. There is also some good rock climbing in the area. To get there take Hwy 1 East thru Anaconda. Make a left onto Rt. 48. Go to end of road and at light make a left, then the first right into the management area.